Luxury home prices fell in the state's three biggest cities during the fourth quarter, with San Diego leading the way with a 2.2 percent drop in value compared to the previous quarter. LOS ANGELES -- Luxury home prices fell in the state's three biggest cities during the fourth quarter, with San Diego leading the way with a 2.2 percent drop in value compared to the previous quarter, according to a report out Tuesday. In Los Angeles, luxury home values declined 3.7 percent over the past year and 0.7 percent over the quarter ended Dec. 31, 2008, according to First Republic Bank's Prestige Home Index. The average luxury home in Los Angeles is priced at $2.31 million. "Luxury home values in California's urban coastal markets have so far held up better than the overall housing market, although prices are under pressure due to weaker economic conditions, employment losses and declining investment portfolios," said Katherine August-deWilde, president and chief operating officer of First Republic, which has tracked luxury home prices since 1985. 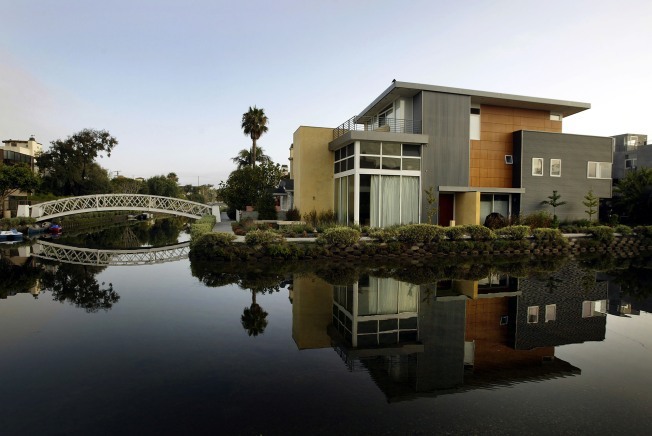 Luxury home prices in Los Angeles have been softening since the third quarter of 2007, declining nearly 5 percent since then. "There is significant downward pressure from $2 million to $20 million, but there are buying opportunities," said John Iglar of Teles Properties in Beverly Hills. San Diego, often cited as a bellwether in the California real estate market, saw luxury homes lose 8.3 percent in value over the past year and 2.2 percent since the third quarter -- down to an average of $1.93 million. Since the third quarter of 2007, luxury home prices in San Diego have fallen almost 10 percent, and homes sold in the fourth-quarter of 2008 were roughly at first-quarter 2005 prices, according to the index. Sales have been slow in upscale markets such as La Jolla. "People are looking, but they're just not buying. Even the oceanfront property is sitting," said Pam Reed of Willis Allen Real Estate in La Jolla. In San Francisco, luxury home values decreased 3.1 percent for the year and 1.8 percent since the third quarter, with the average price of a luxury home at $2.93 million, according to the index.